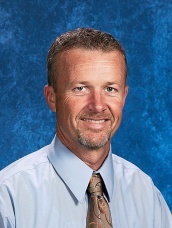 Hello, my name is Kevin Waddell, I am very proud to be the principal of Vinton County West Elementary. West Elementary is a very special place with many outstanding people whom make it a place to be proud. West has a long standing tradition of excellence due to the community's involvement and outstanding students. I have enjoyed my years working with the young people of Vinton County. We are very proud of our students and staff for all of their hard work and accomplishments. I am beginning my 32 year with Vinton County Schools and I am very proud of all we have accomplished during my tenure. Our success is due to our community and district support both of which have been tremendous. Our staff of highly-qualified teachers are dedicated to the profession and take great pride in our school. The students demonstrate respect and determination to meet the expectations placed upon them by today's society. They are challenged, like never before, and their success is something in which we all take pride. I wish to invite everyone to get involved in our schools and community. Our district is very proud of our successes, and the support of our community makes West Elementary a place of which we can all be proud.